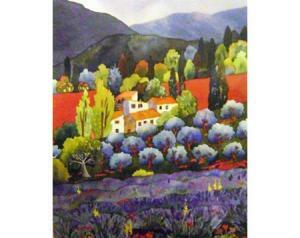 Marie Gabrielle was born in France and studied textile arts there. 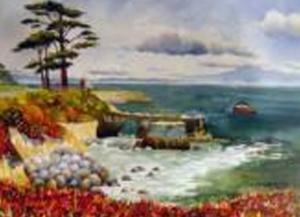 She came the the United Stated in 1975 and has blossomed into an international success. 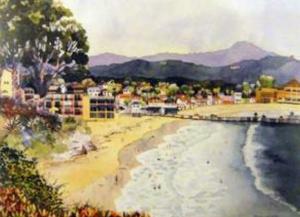 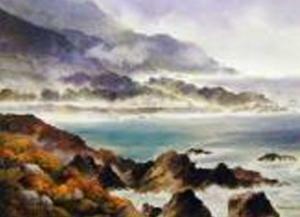 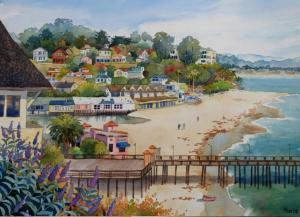 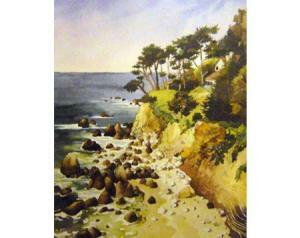 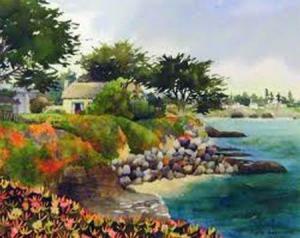 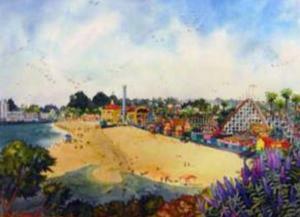 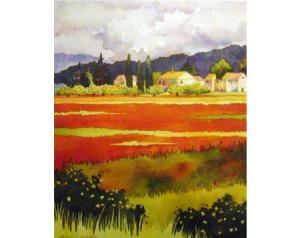 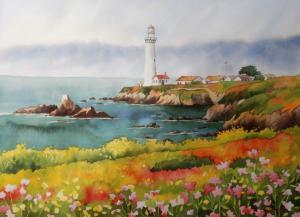 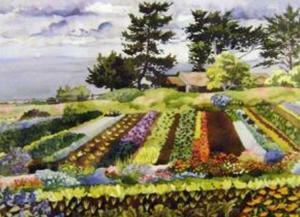 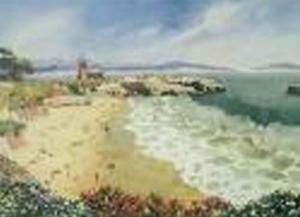 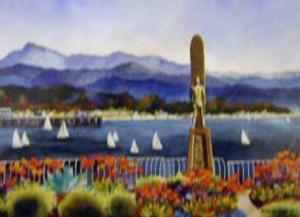 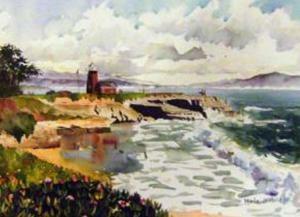 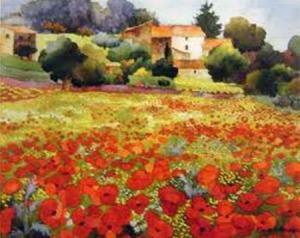 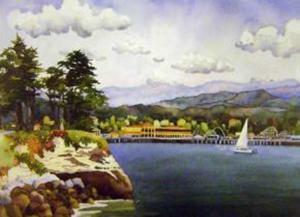 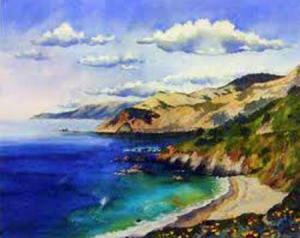 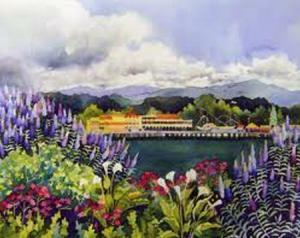 Her watercolor paintings of the Central Coast and of her native France are colorful and expertly crafted. 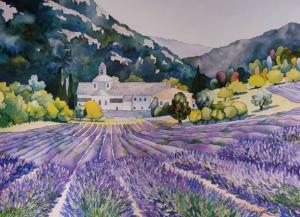 "The source of my art inspiration is Nature. 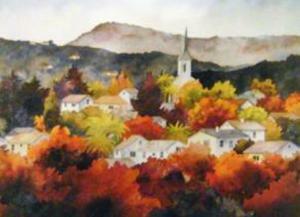 The watercolor medium appealed to me from the beginning; with it I could see the possibility of achieving a great impact with the use of color, which I believe is the most powerful element of painting. 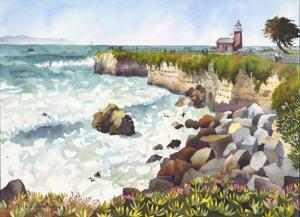 I also liked its portability, since I am primarily a plein air painter. 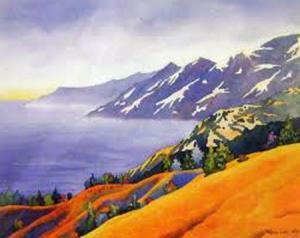 I am constantly searching for new ways of expressing my passion, still through the use of color, but also through the play of shapes, light and shadow to get to the essence of the subject." 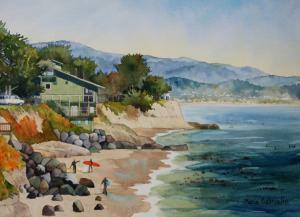 "Currently I am painting in a figurative style, while I strive to add more mood and ambiance to my work. 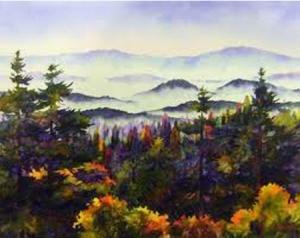 As a result of this ongoing process, my paintings are becoming looser, and acquiring more mystery and atmosphere. 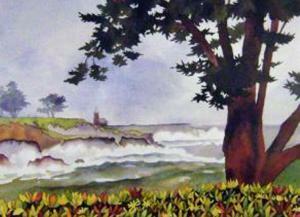 My work is evolving constantly, and new possibilities continue to arise, which keep me inspired and challenged. "